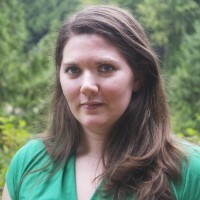 Lindsay is a Postdoctoral Fellow in the School of Population and Public Health, and is co-appointed at C2E2 and the Vancouver Prostate Centre. She is investigating the costs and benefits of a comprehensive supportive care program for survivors of prostate cancer and their partners. Her background is multidisciplinary; she is an administrative data specialist, but also has expertise in patient reported outcomes, cost analysis, and simulation modeling. Her doctoral work with Dr. Morris Barer focused on gender-driven differences in career trajectories, activity, patient and service mix, and scopes of practice for BC’s primary care physicians. She was previously employed as a Health Economist at the Canadian Centre for Applied Research in Cancer Control, where she focused on producing cost-effectiveness evidence within a program budgeting and marginal analysis framework. Dr. Hedden’s research interests focus broadly on health services delivery and workforce issues in both primary care and cancer control.